R2-D2 (honorable mention to C-3PO): While I think R2 is the far cooler bot, you gotta give props to his robot life mate too. These two are robot royalty. Star Wars was just full of so many great bots. The Gonk droid, the mouse droid; you could probably fill a list with just your favorite Star Wars droids. Tom Servo (honorable mention to Crow T. Robot): MST3K was just brilliant and Kevin Murphy’s version of Servo will always be one of the great bots for me. Maximillian (honorable mention to V.I.N.CENT. ): “The Black Hole” is one of those movies that holds a special place of childhood nostalgia for me despite the fact that the ending is an absolute bizarre cinematic drug trip. These two bots are each worthy of their own place in robot history with more honorable mentions to Bob and S.T.A.R. but in the end I think Maximillian with his spinning blades is the more memorable and iconic robot. Yul Brenner in “Westworld”: A classic. Robot from “Lost In Space”: There was always something about him that I loved. What boy didn’t want a best friend like that! The Iron Giant: Vin Diesel’s best role to date! The Terminator: While the T-1000 may have been cooler in a lot off ways, it was the original Arnold-nator that will always be the classic. The Cylons: There was a time when I would have said the original series’ centurions but the new BSG is such an awesome show that I gotta go with those fleshjobs now. The new centurions are pretty sweet too. I’m sure I’ll probably think of a ton more that I’ll wish I’d put on here as soon as I publish this, but those are the ones that first came to my head so that says something about them. Keep in mind these are MY favorite robots. The ones that for whatever reason made an impact on me. Many people may cry “Where’s Johnny 5? Optimus Prime?” Etc., but there are many famous and iconic robots that just don’t hold any personal value to me. I never saw “Short Circuit”. I never watched “Transformers”. Daleks and “Blade Runner” replicants aren’t actually robots. So those are my picks. Feel free to add your own in the comments! 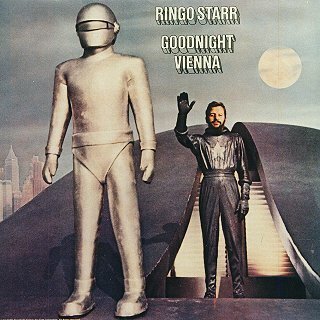 I always thought “Gort” was cool too but I never actually saw “The Day the Earth Stood Still.” In fact I think I first became aware of Gort on the cover of a Ringo Starr Album. This entry was posted by Heath on July 1, 2008 at 11:10 pm, and is filed under Flotsam and Jetsam. Follow any responses to this post through RSS 2.0. You can leave a response or trackback from your own site. I kept expecting Gort to be on the list. I’ve never seen The Day The Earth Stood Still either, which is terrible because TWO people have given it to me. In other news, I can’t believe you like Tom Servo better than Crow T. Robot! It’s not even that I disagree (the whole show is so awesome that I don’t care one bit who’s your favorite), I am just really surprised for some reason.